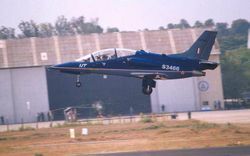 Take off - the HJT36 takes to the air. 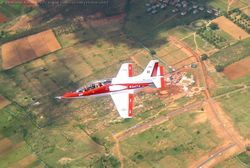 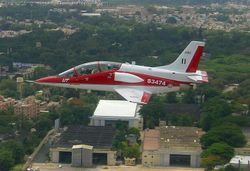 The HJT-36 first prototype as it takes to the air, with the ASTE hangar in the background. 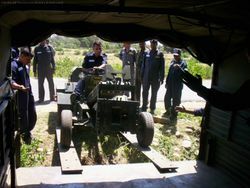 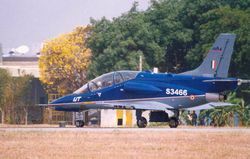 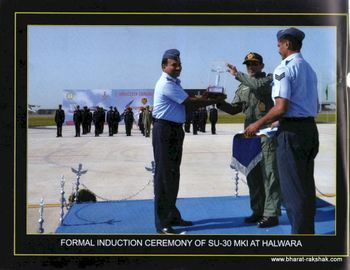 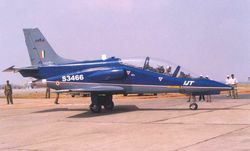 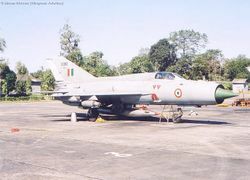 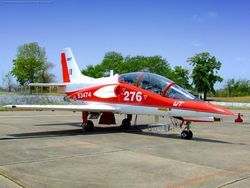 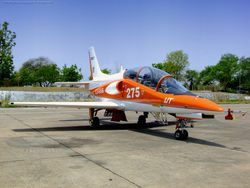 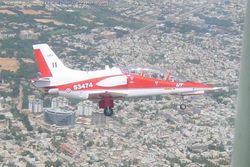 In June 2006, the two IJT prototypes were flown to Nagpur, where they underwent a series of sucessful hot trials in peak summer. 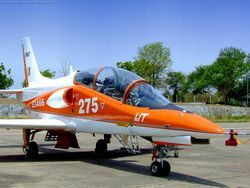 First prototype S3466 in Orange paint scheme. 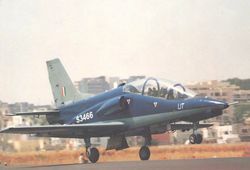 In June 2006, the two IJT prototypes were flown to Nagpur, where they underwent a series of sucessful hot trials in peak summer. 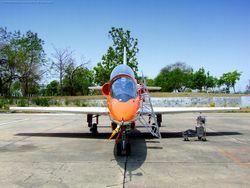 S3466 is the first prototype which had shed its earlier blue paint scheme for the current Orange paint scheme. 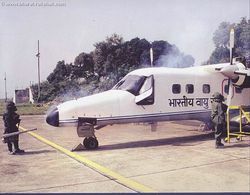 Note the three letter code applied on the aircraft. 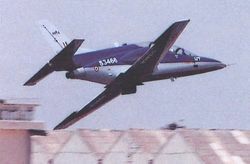 This is a remenant from the Paris Air Show.